Our force calibration service utilises analogue and digital torque analysers, which give coverage over the range from 0 to 500Nm. Certified imperial weights from 1g to 20 k g enable force measurements up to 50 k g with uncertainties starting from 0.5mg. 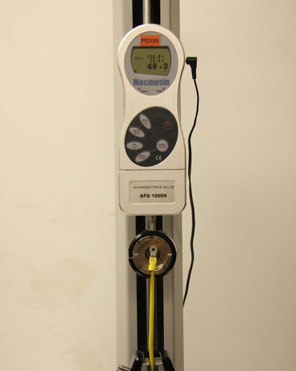 Crimp tools are calibrated using a Mecmesin automatic pull-off tester utilising a force gauge. Dies are measured and a millivolt drop test performed. 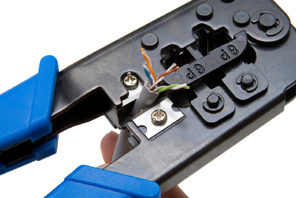 Customers are requested to send in sample cables and crimps when returning the tool for calibration.